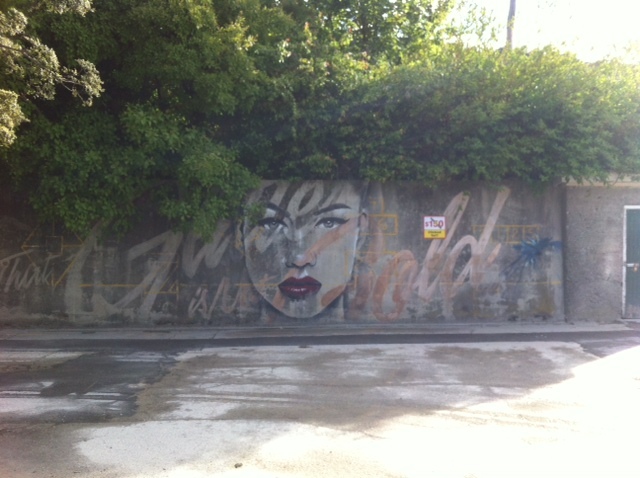 In the middle of Queenstown, on a wall in the Ballarat St parking lot is a portrait of a woman’s face. It struck me as very 1980s-esk in feel. Duran Duran’s Rio cover flashed through my mind. Mr Google tells me the artist is Rone from Melbourne, Australia and the work is titled ‘All that glitters is not gold‘ in reference to the Queenstown areas goldmining history. It was painted in 2012. To see more of Rone’s art around the world, you could do some extensive travelling to hunt out these amazing portraits, or you could just look at his website.